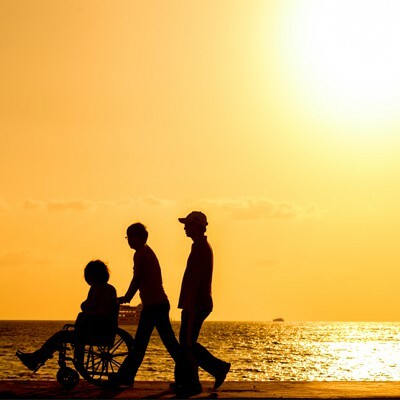 When faced with physical disabilities, expenses for mobility products and services can add up. The last thing that you need to worry about is how you will afford an accessible vehicle to get to your doctor appointments, family gatherings, trips to the store, and more. However, this is a reality for many people who are in need of a wheelchair van. So many of our BLVD readers ask for information on funding and financing for mobility vehicles because traditional banks often do not provide financing for the conversion, only the chassis. This can leave you with paying thousands of dollars out of pocket. Unfortunately, not everyone is able to do that and that is why we want to help get you into the vehicle of your dreams with mobility financing! The first step to securing financing is to fill out either the BLVD Online Credit Application or Brandl Mobility Finance Application. It takes only a few minutes and you can do it from your computer or mobile device. There are only a few easy steps and you will be notified of your results quickly. Even if you have been denied elsewhere, we encourage you to apply to see what our nationwide financing partners can do for you. Once you are pre-approved, your next step is to take that pre-approval to a mobility dealer near you to find the right wheelchair van or accessible vehicle to fit your needs. Dealers are more likely to work with potential buyers who have a pre-approval amount than those who do not. This also give you an advantage when negotiating the price. When you have identified the vehicle you would like to purchase, Brandl Finance works directly with that dealer to process and finalize the loan. You will then be able to take the keys to your new wheelchair accessible vehicle! BLVD and Brandl Finance are committed to maintaining information security and utilize SSL (Secured Sockets Layer) technology. This creates an encrypted link between your web server and browsers. All of your information is kept private and integral.